Dan Eastman has worked in the primary metals and stamping industries since 1964, and is principal of Eastman Consulting, LLC, Sinking Spring, PA, specialists in change and turnaround management; dgeastman@gmail.com. I’m amazed that anything gets done correctly in most metalforming plants. In this era of massive amounts of information, certifications, work instructions, committees and instant communications, why do so many things go wrong, and go wrong continually? Almost all organizations have the same problem. Let’s back up a step. In my earlier days, I was an above-average basketball player. 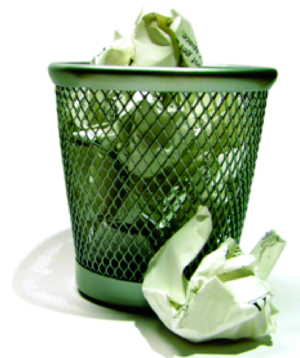 Later in life, I mused about why, when I attempted to toss a piece of paper or empty coffee cup into a trash can 3 ft. a, it didn’t go in. Had I really lost the touch? I give a lot of serious consideration to inaccurate outcomes such as this. For example, what would happen if basketball was played with a deflated ball? How would that impact accuracy? And, if I take the time to wad the paper or coffee cup into a ball, my accuracy should improve, right? Guess what, it does. And for those times where you can’t wad objects into a ball, we turn to the slam dunk. The basketball analogy to business will become clearer later. For now, let’s get back to business. Several years ago, while managing a materials service center, we had one customer that would regularly return scrap to the casting mill for recasting. This ordinarily was not a big deal, and everything went well for years. Then one day, the quality director at the mill called and said the scrap contained another metal mixed in—a dangerous metal that could cause a serious health problem from the vapors and smoke produced during the casting process. We and the mill followed all of the prescribed procedures to investigate the issue. We sent a letter to the customer explaining the seriousness of the event. Forms were sent requesting the scrap procedure be reviewed and a formal corrective-action reply issued. The customer was a major global player. Its response: All necessary precautions were in place. A book of procedures was sent outlining each step of the process. Even the containers for collecting the scrap were color-coded and storage was segregated. Our scrap went into blue scrap containers, and the more dangerous scrap went into red scrap containers. There was no corrective action. In fact, its people claimed that workers in the casting mill must have mixed up the materials, which sent the mill operators into a tizzy. Threats of lawsuits emerged. Six months later, the same problem reoccurred. This time the union at the casting mill held us responsible for any future health effects of the event, and even threatened to personally sue me. Since my name came up, this called for a more serious investigation. Several of us from the service center visited the customer and reviewed all of the paperwork. Everything in the process was documented based on its ISO registration. We met with the plant manager, general foreman and shift foreman. Everyone could recite the procedures by heart. We next visited the shop floor. The written procedures were in a three-ring binder and available at each workstation. 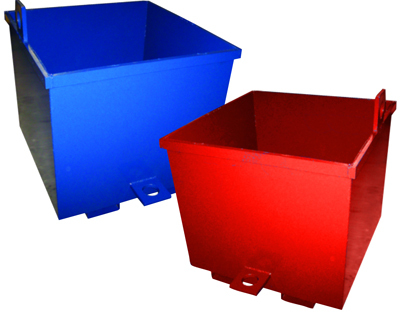 We spotted the blue and red scrap containers on the floor in their correct locations and segregated in the scrap area. The general foreman assured us that all procedures were being followed to the letter. And, he again suggested that the mill must be mixing materials at their location. As we were leaving, I asked to speak to an operator running a machine that was generating scrap being deposited into a red container. When asked about the procedure for disposing of the scrap, he pulled out the procedure book and correctly recited the process. The foreman was devastated, yet this type of situation occurs routinely. The error: Management mistakes written procedures for compliance. To have the right procedures, a company holds meetings attended by management, operators and other personnel responsible for the ISO procedures. Procedures are documented and reviewed, and meetings are held to ensure they are correctly communicated. Timely audits are conducted to maintain compliance. All of this works perfectly, in a perfect world. Everyone assumes that the procedures are in control. But, the reality is that your procedures are not in control, because people are not als in control. Situations happen. In our case as described above, there was no procedure to cover a shortage of red containers. It happened only once in a great while, but it did happen. The operator running the equipment was more interested in running the equipment; disposing of scrap is not production. He probably did what he thought was right, staying focused on keeping the equipment running. He may have told supervision about the problem, or maybe not. It is not production. The shift foreman may have told the general foreman, or maybe not. It is not production. It is human nature to deflect the blame for these and other similar problems, and instead fault others. Investigating the real root cause of problems becomes secondary to production. In my 40-plus years in the business, I find that probably 90 percent of complaints are justified. Most companies believe that the customer does not know what he’s talking about. Customers know the affect, they just don’t know the cause. I love complaints. They have to be investigated much like a murder case, because something murdered our product.